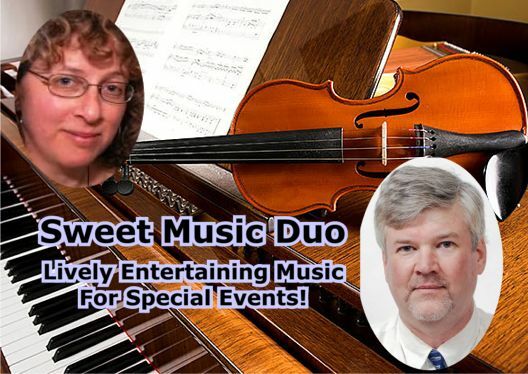 Sweet Music is a violin/piano duo that plays a combination of show tunes, ballads, waltzes, classical duets and more. 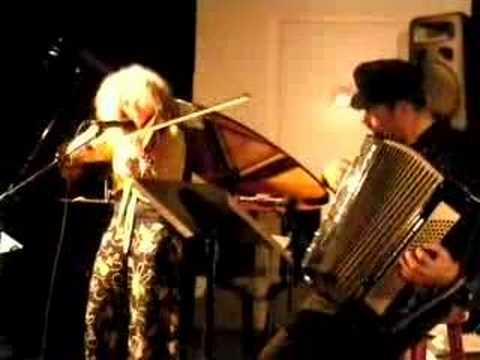 In addition to piano, the duo performs pieces for violin/accordion, mandolin/accordion and flute/guitar. The duo is available for weddings, private parties, concerts, and even background music! Instrumentation includes violin, piano, mandolin, accordion, flute and guitar. The group has over 30 years of playing music for private and public events in the Pioneer Valley of western Mass. Amy Rose plays flute, piano or accordion (no, not all at the same time! ), and teaches for a living. In addition to various freelance gigs, her main gigs are with Klezamir, with the house band at Temple Beth El in Springfield, and with the flute/piano and guitar duo Dream Street with Zack Danziger. Amy is the pianist, flutist, accordionist, manager and founder (in 1986!) of Klezamir, a klezmer band playing Jewish music, jazz, rock, and a variety of other styles. Amy enjoys playing many styles of music and some of her other musical projects have been with the Rosewood Duo (classical flute and guitarist Michael Nix), MarKamusic (Andean, funk and Latin jazz), and Donna Lee (country). She has a Bachelor of Music from the University of Michigan, certifications in Orff, Suzuki, and Music Education from UMass, and five self published recordings – four with Klezamir and one of solo piano music. Adam Sweet Mr. Sweet attended the New England Conservatory of Music's pilot Suzuki program from 1966 until 1972, and the Conservatory at Rivers from 1972 until 1980. Sweet attended the Apple Hill Center for Chamber Music from 1974 until 1980 where he studied chamber music coaching, and focused on the music of Mozart, Bach, Dvorak, Brahms, Schubert, Borodin and Mendelssohn. Sweet studied violin with Judith Canon, Mary Parker and Phillip Naegele; viola with Betty Hauck and Robert Merfeld. He attended mandolin master classes with David Grisman, Sam Bush, Adam Steffey, Mike Marshall; and fiddle master classes with Darol Anger, Stephane Grappelli and Vasser Clemens. In 1996, Sweet spent three weeks in Kilfenora, Ireland, where he played nightly at Linane's Pub and attended Set Dances with the Kilfenora Ceilidh Band. He attended a concert and master class by De Dannan with master fiddler Frankie Gavin. Sweet went to Hampshire College in Amherst, Massachusetts, where he majored in Music. He studied jazz with Roland Wiggins at UMass, electronic music with Randall McClellan and World Music with David Reck. His thesis was on music as part of a therapeutic environment. Mr Sweet graduated with a BA in 1985 and opened his studio in 1986. Since then, Mr. Sweet has been teaching adults and teenagers how to play the violin, mandolin, guitar and bass. Mr Sweet performs and therefore teaches celtic music, bluegrass, klezmer and world music. With a background in chamber music coaching, Sweet coaches a classical mandolin ensemble that performs with Mandolin New England in western Mass and Providence, RI.